Movies are focusing on Politics in many forms as they can make a film on a serious issue or a moment in the history. The film makers always concentrate on plotting the political issues with satires or by making fun on the current government system. In Hollywood, the ever made classic and one of the best political movies is “All the President’s Men” which celebrated its 40th anniversary this year. In this article, we are going to tell you regarding the best Hollywood movies about politics. If you would love to watch, then follow the name of the movies and get entertained. It was banned in some areas of the world as it defended the regional ideology and it was under controversy for a long time. 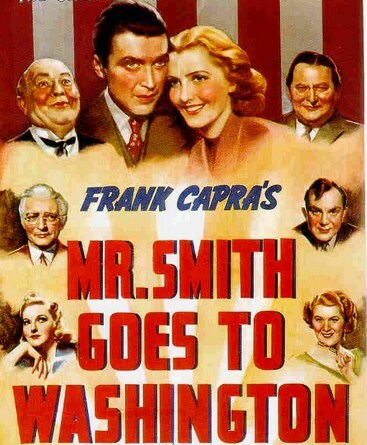 Some people though that the film was made politicians look bad, Frank Capra’s look at a native politician who ends up with fighting a corrupt Washington DC. This was the central pillar in this political genre movie. Dr. Strangelove or: How I Learned To Stop Worrying and Love the Bomb was released in the year of 1964. It was completely Stanley Kubrick’s classic satire on the nuclear war that never gets old. There are multiple characters that people won’t forget, and it was imitated for decades. This movie had priceless moments in it which is filled with a dark comedy, and this made the film accessible. As already discussed this is one of the best movies on politics ever made on silver screen till date. It was all about Journalism and Robert Redford; Dustin Hoffman played lead roles in the movie as reporters. The main story line of the film was to uncover the Watergate scandal which drives to the resignation of President Nixon. In this movie, Frank Sinatra Played a former prisoner of war who realizes that a soldier in his batch has been intended to be an assassin for a Communist Conspiracy. When this movie was released, all the people had received well as it belongs to the cold war thriller. Even this film was under controversy for a long time as Sinatra demanded the film to be taken out from the cinema halls. Later, the movie turned into an all-time classic when it was released in the late 1980’s. A Face in the Crowd film was released in the year of 1957 since release it has become more popular and stood in the 5th position among top 10 films based on politics. Andy Griffith has played a lead role in the film and the people who watched never forget his performance in this movie. He has played a power-thirsty role which leads to his downfall, and it was greatly plotted on the silver screen. These are best Hollywood movies on politics. Thanks for your time reading this article.